THE WRINKLE SMOOTHER ALSO TREATS MIGRAINES. The same BOTOX that smooths facial wrinkles also prevents the muscle contractions that can trigger migraines. 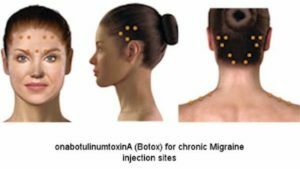 BOTOX, highly diluted botulinum toxin, works to prevent migraine by blocking the release of a chemical in muscle cells that transmits the signal to contract to muscle fibres. 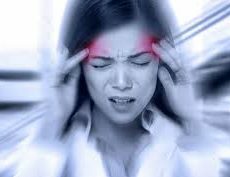 Research into using BOTOX to treat migraines began after patients receiving it for other conditions reported improvement in their migraine symptoms. 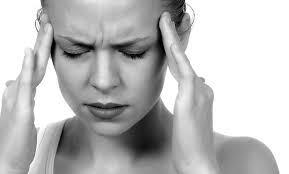 In 2010, after years of research and collecting clinical data, the FDA approved BOTOX for treating chronic migraines. BOTOX is administered about every three months, and must be injected at the site of each nerve trigger, relaxing the surrounding muscles so that they won’t compress the nerve and trigger a migraine. It is generally only administered to patients who have at least 14 headaches a month, or don’t respond to other treatments. In the mid-1990s, people who received BOTOX for other conditions reported improvement in their chronic migraine pain. A two-phase study was conducted, treating patients who averaged 20 headache days a month. They received BOTOX injections every twelve weeks for 56 weeks. At the end of that period, 70% of the patients had fewer than half the number of headaches they had before treatment. 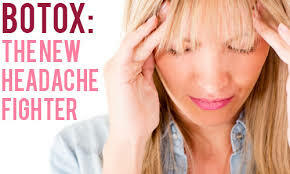 The FDA officially approved BOTOX to treat chronic migraine in October of 2010. Since then, more than 100,000 patients have been treated. BOTOX, or Botulinum Toxin Type A, disrupts the normal function of the neuromuscular junction, blocking the release of acetylcholine, a neurotransmitter. Researchers believe that by blocking acetylcholine, BOTOX disrupts pain pathways. Research continues to discover the exact mechanism that makes BOTOX so effective on chronic migraine pain. On average, each BOTOX treatment requires 50 injections, though individual patients may require fewer or more. You’ll receive injections every twelve weeks, and each session only takes a few minutes. BOTOX begins to work as soon as it’s injected, and you should see full results within a week of your first injections. Most patients who benefit from BOTOX treatments receive five rounds of injections over 15 months. 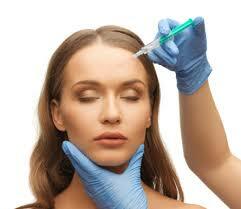 BOTOX is injected using a very fine needle. Most patients describe it as feeling like a tiny pinprick. The effects of BOTOX are temporary lasting in duration from weeks to months. • 20 percent reported some pain relief.